Like many enthusiasts, I like clothes with unusual details. Jackets with pockets hunter in the back, boots with heels woodsman, jackets with an unnecessary amount of compartments and tissues curious. 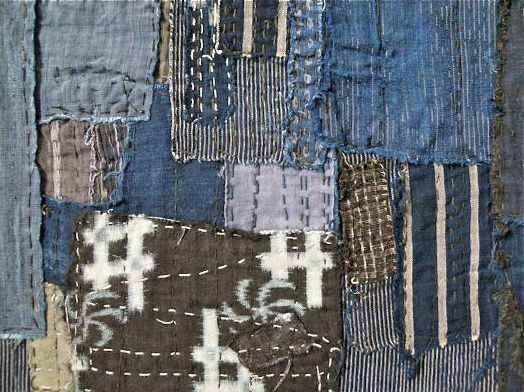 And, at the top of the list of fabrics, unusual is the boro, a kind of patchwork japanese originally used by impoverished farmers and fishermen. 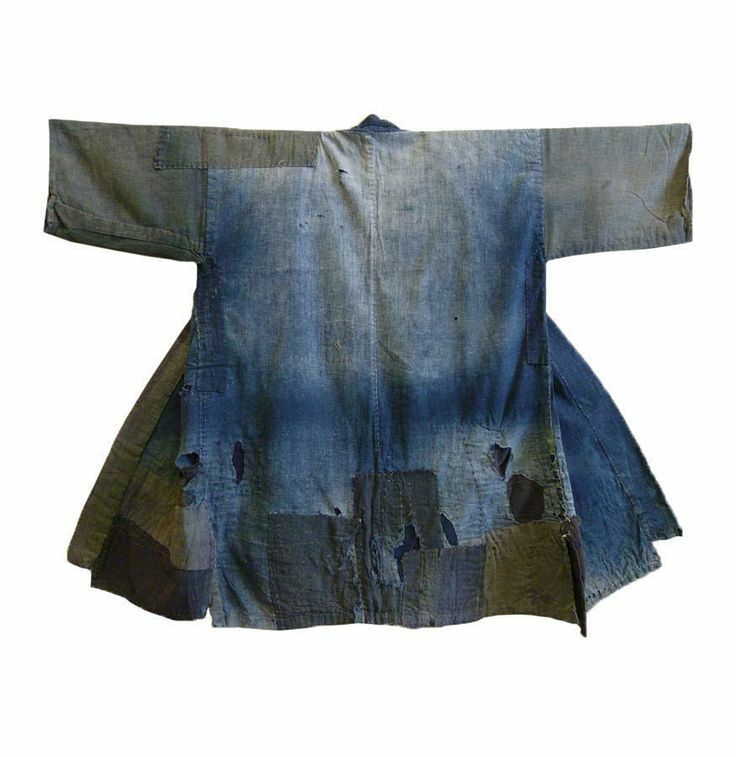 “Boro” is a japanese word that means “rags, torn to pieces,” and a fabric that reveals a lot about the standard of living of the families in Japan from the eighteenth century. 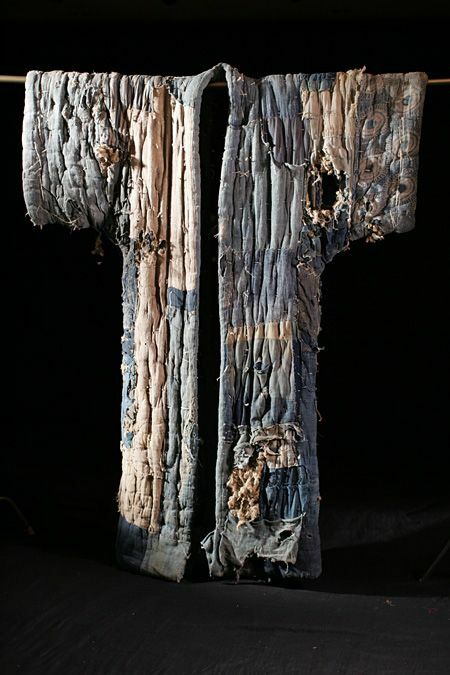 In boron, a large piece of fabric is repaired with scraps and rags by several generations of a family. 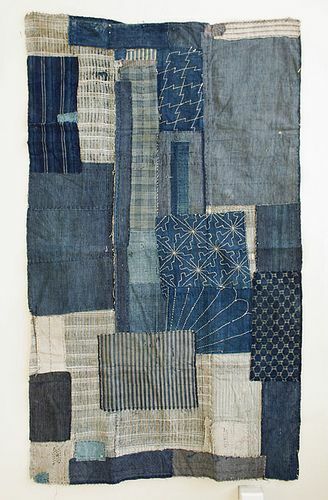 The result is a japanese version of a patchwork quilt, where hundreds of shades of indigo are combined by the points of coarse. 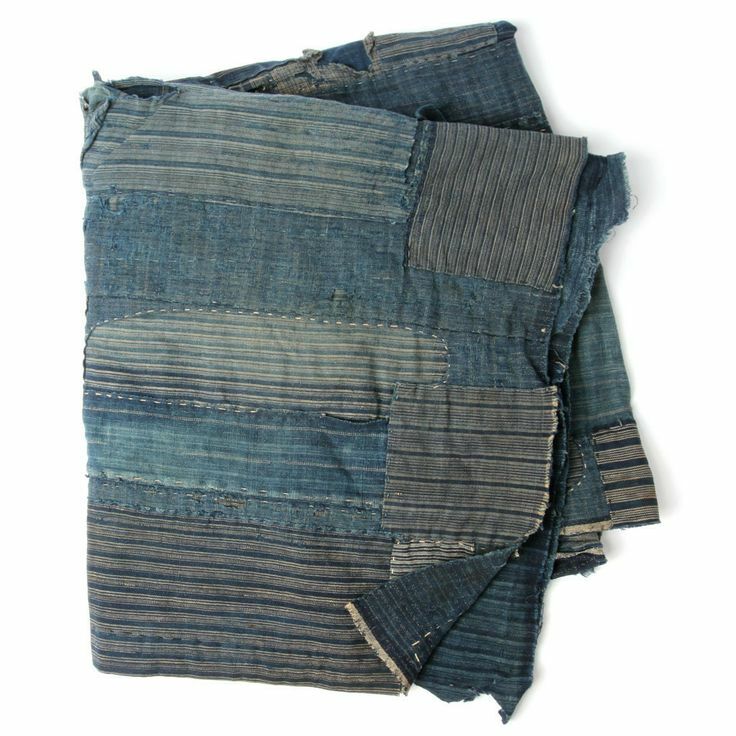 Originally, all the rags of cotton dyed with natural indigo were patched affectionately, taking advantage of to the maximum the useful life of the piece is unique. The final product is a story that existed in the heart of a family and the soul of a people. The people sewing these patchworks were living in a situation where everything had value too. Nothing could be wasted, a concept almost extinct in the modern consumer. The beauty of irregular flaps and the philosophy behind this act captures the essence of sustainability, with zero waste in the production of handmade. The boron was born in Tohoku, northern Japan. The region has been synonymous with extreme poverty during the Edo period (1603 to 1868). The climate too cold, prevented the cultivation of cotton and silk, raw materials for clothing. The plantations near them, were the more than 300 km away. In the winter freezing cold, clothes are a matter of life or death. The solution of the population in the province was to weave the hemp. Almost everything was dyed blue because the ink of the indigo natural help to ward off insects. In addition to helping on the farm and take care of house and children, the women also planted, harvested and processed the hemp. It was they who, with their own hands, cheered, weaving, and tingiam the fibers to create the fabric. The final product, very precious, was the result of much sweat and work. This fiber is rigid and aspera was woven in an open mesh, light and airy for the summer, which couldn’t stand the winter. 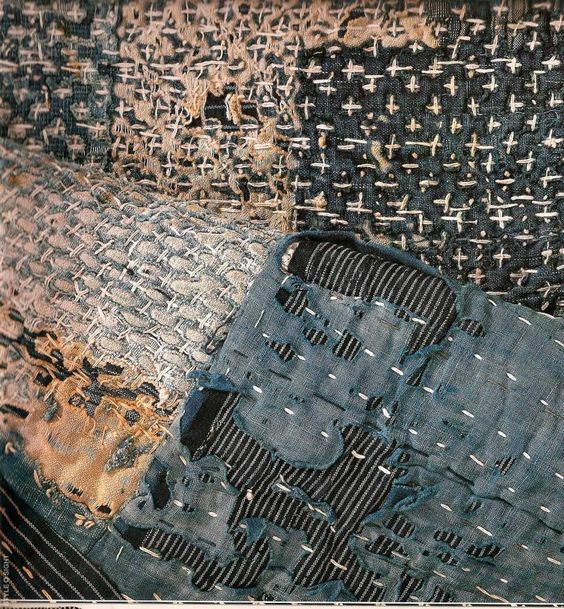 The creative solution was to overlay various layers, filling everything with fibers emboladas and patch the holes that appeared with the time. The method increased the durability and the thermal insulation of the parts. Boron is the way that the function of survival took in that region uninhabitable. 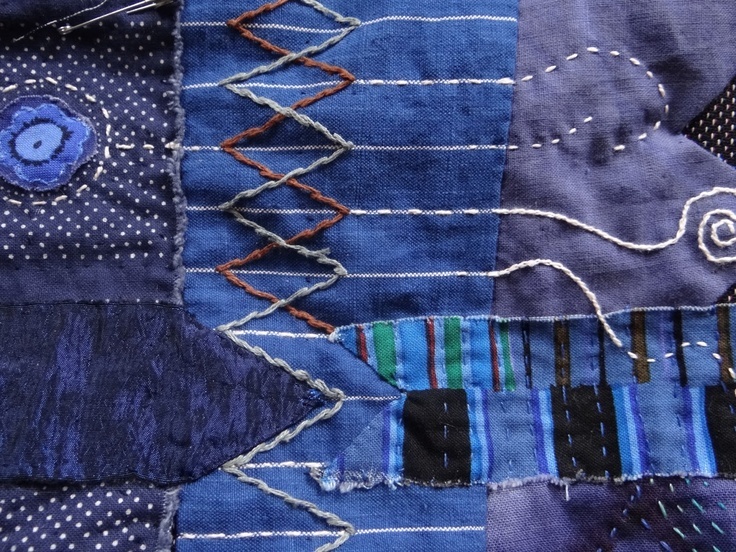 Were farmers extremely poor, which, of necessity, have created an aesthetic textile wonderful. In 1892 that the first railroad arrived, bringing some cotton for the region. The fiber appeared in the form of scraps and leftovers. The rain turned to spices cobiçadíssimas, excellent to further increase the useful life and the thermal insulation of a piece of fabric. The process of exploitation consisted in a damp the old fabric in the same water used for washing rice. This dropped the wires, which were stitched on top of layers of torn and tattered to get them more thick and resistant. The cotton was also cut into ribbons and woven again with warps of hemp. All tissue that was left was twisted and used as head bands by the farmers. Any little piece was kept with great care. Sometimes, a little box full of rags-puídos was everything that a girl took when you married. When someone died, the relatives wept, while fought to see who would stay with the gi. The linen was life, far more valuable than money. When there was no more condition to take advantage of pieces of fabric, they were going to fire. It will burn slowly and the smoke repelia insects. Hemp comes from the earth and turns the fabric that turns clothes. 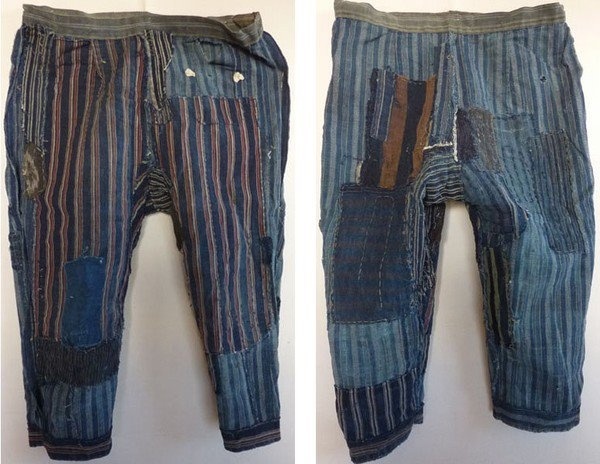 Used clothing saw the flaps, which are used to restore other parts. In the end, return to the soil in the form of ashes. The frugality and the love for the fabric were truly rooted in the lives of these people, long before the concept of recycling appear. Japan is famous for the seams of the geometric. They came out of the need to close the open weave of the mesh of hemp. The cotton yarn loose in the washing process above were used to fill in the spaces, and the points served to unite the tissues and protect the body. The seams needed to be firm, without restricting movement. The artistic sensitivity and skill have been developed from the need of survival. Looking well to the fabric, it is difficult not to imagine that one day there is some person who sewed each one of these points. Someone who wore those clothes until they desmancharem, and then another, someone who has restored, so that the next person to use. It is impressive the effort and time spent to make a cloth last longer! There are two, three, even four generations reusing the same fabric. 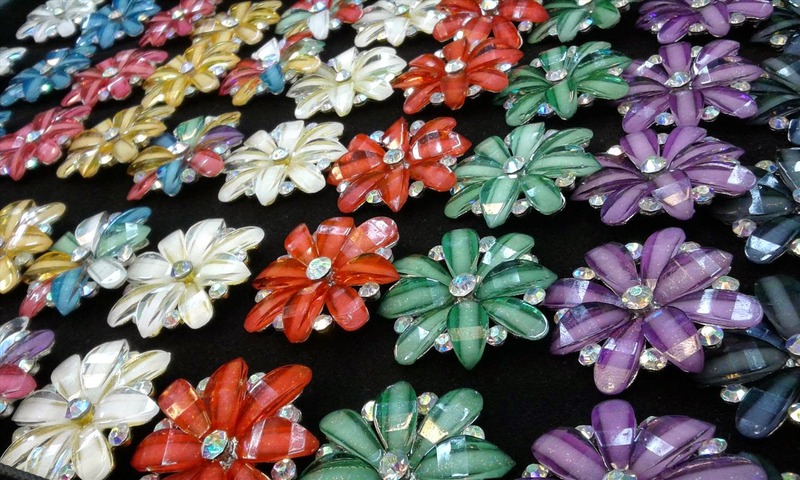 The story behind the Boron is a story of poverty and misery; but it is a handmade work amazing. 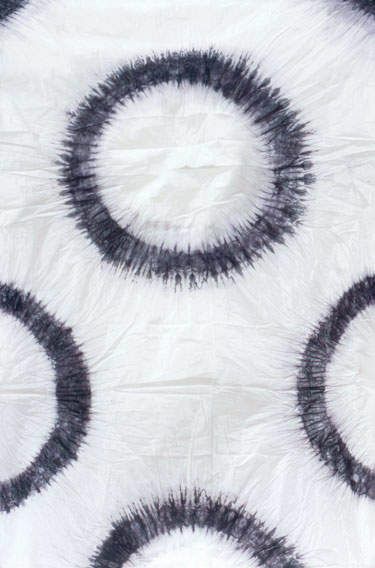 Ecological awareness, technique, and emotion, these fabrics are works of art fantastic. We are so accustomed to the modern conveniences and disposable products that think flaps and small pieces of tissue such as preciousness can be a sad reminder of times past. But will the abundance and accessibility did not make us lose sight of something much more important? Will be that life was no longer life when people were faced with difficulties, making, caring for and using up the last grain of everything that they had? The work of these families was not motivated by ego or fame, much less by the will to create something beautiful. Was need a common object for use in the day-to-day. 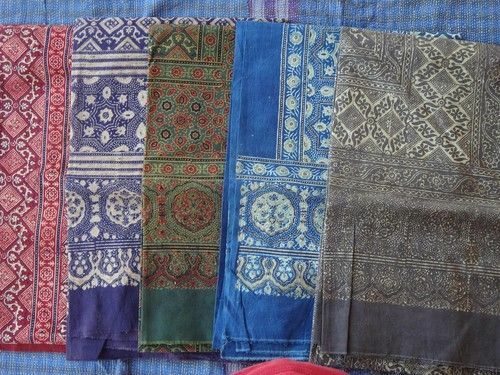 Even so, by the positioning of these flaps, the combination of colors, and the pattern of the traditional stitching, you realize that even living in extreme poverty, these people were proud of the aesthetics of the objects used in day-to-day. The boron passes a message very beautiful about preservation, craftsmanship, the relationship of man with nature, and a talent that was able to transform the shelter into art. Reminds Me that we are individuals, but cannot survive alone. We are here thanks to our parents, our grandparents, and all who came before. It is a beauty not intentional that can’t be attributed to just one person. The boron in the vintage original can be easily incorporated into an outfit in the form of a scarf. The use of patchworks to tinker with the vintage, such as jackets workwear French, it is also very common. Tissues old with multiple layers are incredibly expensive and can cost over a thousand dollars out of Japan. In its essence, it is a fabric workwear: made for work, built to last. 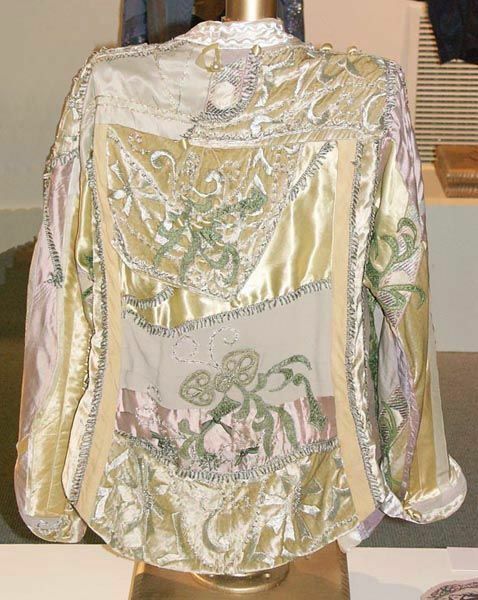 This legacy was exploited by the fashion, which incorporates the aesthetics mainly in the parts of this style. 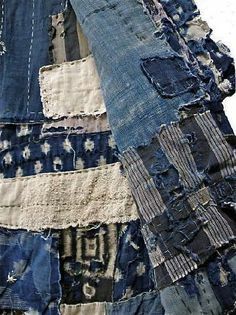 The work of patchwork boro well done on modern clothes tends to be also expensive. 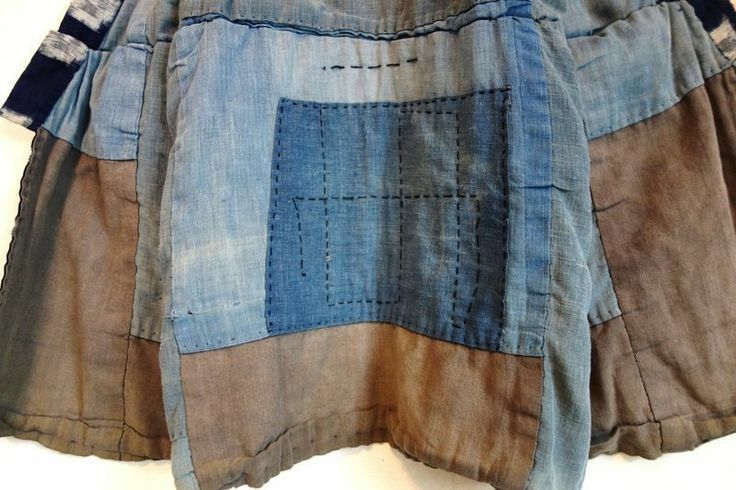 Often, the combination is made with various fabrics old and unique, or else through the exploitation of multiple parts, which increases the costs of the process also involves choices and jobs quite manual, as each piece needs to be modified after it’s ready. 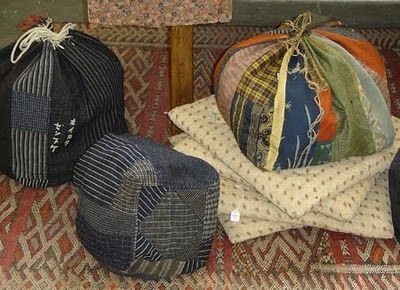 The japanese brands are my favorite because of the patchwork, more than the mix of fabrics in the form of flaps, they incorporate traditional techniques. Seams books, stitches sashiko, multiple layers of fabrics. In this way, on some level, there is a big respect for the story, rather than a settlement solely aesthetic. In the end, obviously they want to sell, but I feel that so there is still a shred of philosophy behind the final product and that delights me. 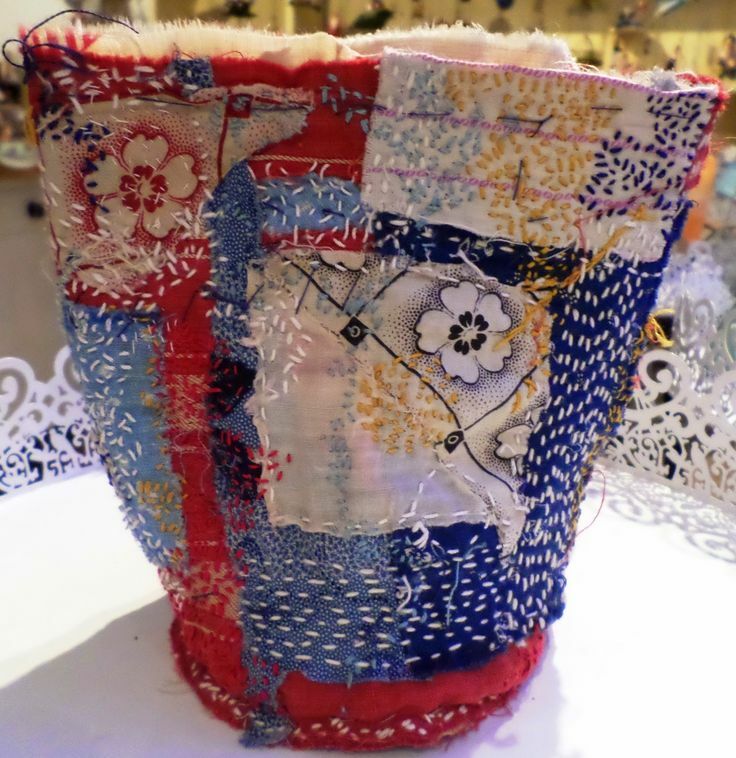 How you can use the patchwork japanese on a day-to-day? As I said, a flap of fabric old can be a scarf it’s pretty cool, even a poncho. A jacket “kimono” looks cool on top of a t-shirt, but the aesthetic is very japanese. 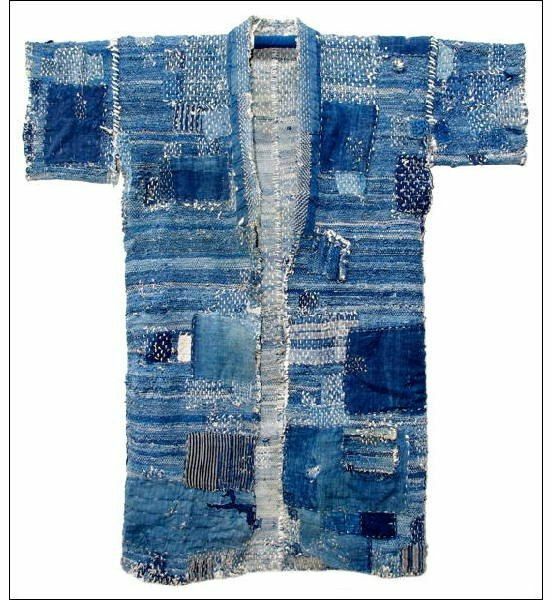 A very simple way is to use as if it were a shirt or jacket blue, common blue. Put the clothes more basic that you have, and leave only the detail of the fabric as a point of attention. I talk a lot about incorporating pieces of workwear or military ways not literal. Short enough to use my boro shirt from Kapital, a mix of retail japanese with hawaiian shirt, with jeans and slip ons from Vans. More lounge, less the factory, you know? Converse First String Jack Purcell "Boro"